When was the last time you saw a woman on the podium? The Perth Symphony Orchestra is tackling gender imbalance in the world of conducting, with a free, three-day workshop for aspiring women conductors. This weekend selected applicants will gather for the inaugural Women on the Podium program to develop skills in orchestral conducting, musicianship and leadership under the tutelage of PSO’s chief conductor Jessica Gethin. “I hope that in providing a platform for emerging female conductors right here in WA, we can encourage even more diversity and fostering of talent on home grounds,” says Gethin, who sat down with Seesaw for a Q&A about the new venture. Seesaw: What inspired the Perth Symphony Orchestra to create a program to encourage future women leaders and conductors? Jessica Gethin: Perth Symphony has a mission to support and develop local West Australian talent across all areas of our industry. Over the past decade, much has been discussed globally about the lack of women conductors on the podium. It is such a difficult career to forge; there is often no obvious path to follow and rarely opportunities for podium time and proper conducting training. Our executive team identified this as an issue here in WA, when looking for conductors to assist the orchestra or cover when I am working overseas. We talked about ways we could give young leaders more visibility and possibilities to try new things. We wanted to offer a program open to all young female musicians to show them that conducting may be an option they hadn’t considered within their music training. S: What are the essential skills young women will be learning from the workshops and masterclasses? JG: Conducting requires so many different skills, it’s impossible to cover everything in a weekend, or in a year or even in a degree! Many of these early skills are related to conducting technique on the podium, some are in the more detailed elements of musicianship and others are generic leadership skills. We wanted to touch on as many of these as we could, exploring basic stick technique and beat patterns, some score interpretation and also leading discussions about what it means to be a leader from some well respected women in the industry. We hope at the end of the weekend, the participants will have a better grasp on what may lie ahead and what opportunities they can look for if they decide to move into conducting or even creating their own ensembles. S: Were you interested in conducting as a child? At what point did you decide to pursue a career in conducting? JG: I always knew I wanted to be a musician… from the age of seven I was convinced that is all I wanted to do! However, I had never really considered conducting as a career option. I guess I had never actually seen a women conductor at the helm until I discovered Simone Young in my late teens, the idea just hadn’t really ever occurred to me. My parents recall me waving to old recordings of the great violin concertos in my bedroom as a child, but becoming a conductor really evolved organically for me in my early twenties. As a violinist I was often in a leadership position, fascinated by the symphonic score and a natural communicator with strong ideas about phrasing and sound. I guess one thing led to another and I found myself getting more work on the podium so decided to throw myself into scores and pursue it as a full time career. 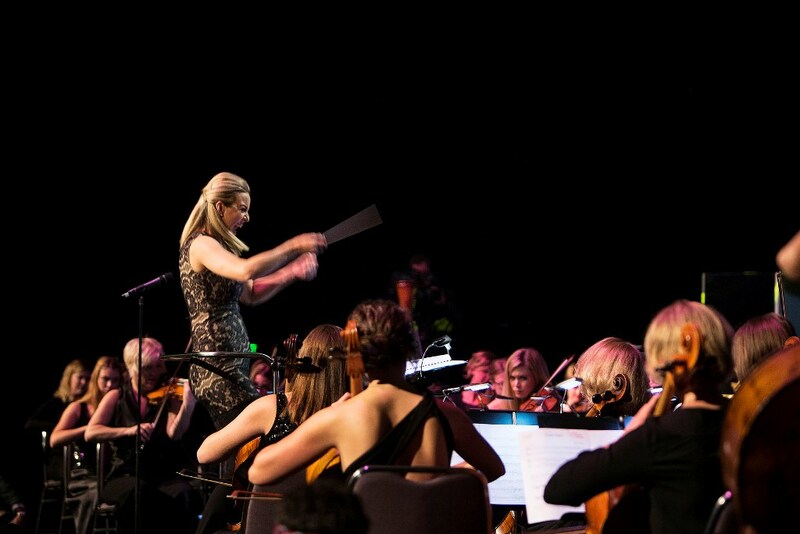 Jessica Gethin with the Perth Symphony Orchestra. Photo supplied. S: British conductor Alice Farnham has been part of several new initiatives in the UK designed to support and encourage women to take up roles in music leadership. What will she bring to Women on the Podium? JG: We are so thrilled that Alice is coming to Perth to drive this program, as she has a wealth of experience not just as a superb conductor, but as a conducting educator and mentor. Alice has been instrumental in identifying young musicians that have what it takes to conduct. PSO Executive Director Bourby Webster met with Alice in London and was so inspired by the work she was doing to encourage women conductors in the UK, she invited her to Perth so our local musicians could have the same level of expertise as those anywhere in the world. I was familiar with Alice’s work from the Dallas Opera’s Institute for Women Conductor’s where she was on the faculty and I was an inaugural fellow, so very excited to be working alongside her for the program. S: Does it require a special skill set to be a conductor? What is it that prevents so many women from pursuing a vocation in this profession? JG: Yes, I believe it does require a very unique skill set, one that is demanding mentally, physically and emotionally. It requires many hours of score study, stellar musicianship and a strong sense of leadership. It has taken me years to develop the confidence to communicate what I want in the music, to be able to shape and mould a phrase, articulate it through my movements and communicate efficiently to the orchestra across a variety of genres and styles. I believe lack of opportunity, support and visibility is an issue for all conductors, with a strong male tradition making it even harder for women to get that break that they need to pursue a career internationally as a conductor. S: It’s clear you love your job. Why should future generations of women put their hands up for conducting? JG: We have a enormous amount of musical talent here in WA; I see and hear it first hand in my work with university level music students. What we don’t have is enough opportunity and support for them to see what is really possible on a global stage; to really know what is out there, to realise how hard you need to work but also what incredible possibilities lie ahead for them. I hope this program plants the seed for some of these musicians so they can realise the impact they can have on our industry as leaders. Women on the Podium runs March 29-31. 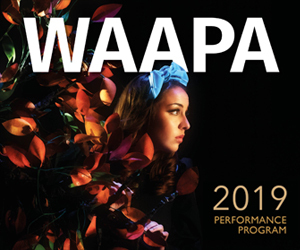 Expressions of interest for 2020 can be sent to jonty@perthsymphony.com. The Perth Symphony Orchestra’s next concerts are Performance for our Planet on March 27 and Girl’s Night Out May 30 and 31. Pictured top: PSO chief conductor Jessica Gethin. Photo supplied.